TrainWithMe is an online personal training platform that connects personal trainers to a worldwide audience of potential clients. What makes it an indispensable tool for trainers? Our advanced technology enables you to meet more clients, work more efficiently, make more money, build stronger client relationships, and get ahead of the online fitness curve. By sending guided workouts with videos and audio cues versus using ebooks, PDFs, and other alternatives, trainers can guarantee clients are doing safe and effective exercises. Clients love it because they can develop a meaningful relationship with a trainer and get personalized workouts anyplace, anytime at a price they can afford. Increase your income without spending a lot of time (or even leave your house). You determine your service offerings, pricing and client load. TrainWithMe will be by your side to help find new clients, convert those clients to happy paying customers and build your training business. You won’t miss negotiating prices and collecting fees from clients. Just set your daily, weekly, monthly and annual subscription fees. The app collects the payments for you, safely and securely. You can keep your current clients while gaining worldwide access to new clients you’ve never been able to reach with traditional in-person training. TrainWithMe opens up a whole new world of personal training opportunity! Spending less time developing workouts means you can charge reasonable subscription fees, maintain and RETAIN a larger client base and earn a lot more money. You’ll love the financial freedom! Online fitness is a growing phenomenon. Specialty fitness apps are gaining popularity by the day because they are easier to access and less expensive than gym memberships and personal training. Getting on board with TrainWithMe now means you won’t be behind the curve as the fitness world shifts. As a TWM Trainer, you will have an entire team developing the product, building the features that leverage your unique strengths and providing support that helps you build your business and achieve success. 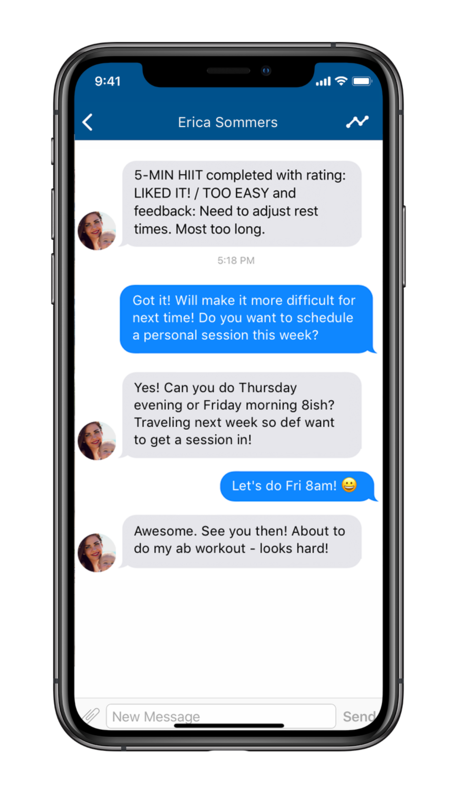 Chat allows you to connect with your clients more often, and research shows that clients who chat with their trainers are 90% more likely to continue their training relationships. What does that mean for you? More long-term clients, more long-term income and more long-term success. 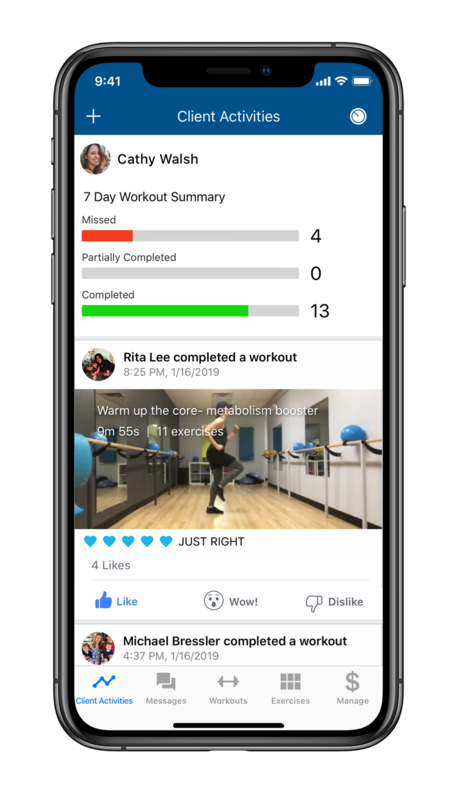 Your clients will have workouts they can literally hold in the palms of their hands, workouts that they can do anywhere and communication that will keep them feeling connected to you. You will be able to provide motivation to help keep clients engaged and consistent. This means your clients will see results, which keeps them happy and loyal and keeps you employed. It’s a true win-win. TWM is a one-of-a-kind technology that helps you manage your personal training business efficiently. What does this mean for you? You’ll be able to train more clients and make more money. Isn’t that what everyone wants? 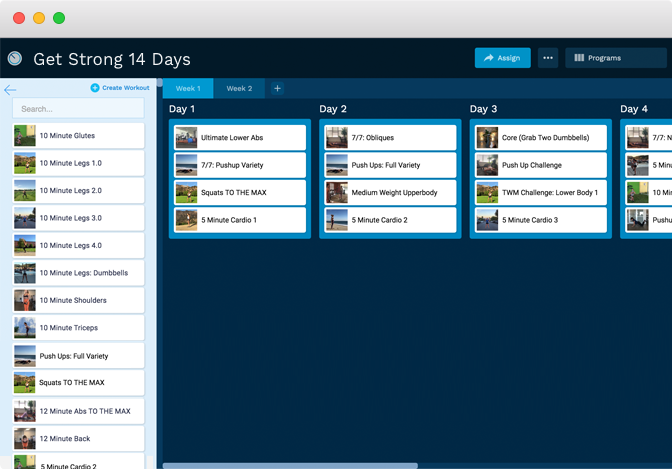 You’ll create a library of exercises with videos and use them to build your client workouts. Just record and upload thirty second clips of each exercise you plan to assign to clients. Combine these exercises to create client workouts. Add audio cues to your exercises to help clients with proper form. Use your exercise library to assign client workouts anywhere at anytime. 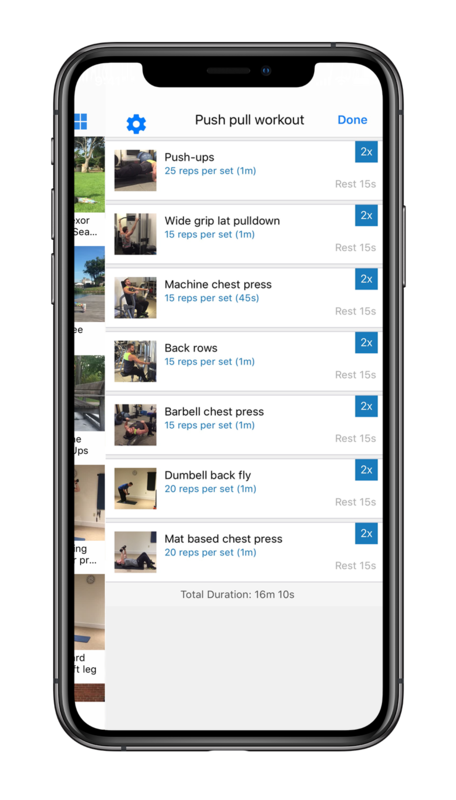 Building client workouts is as simple as dragging and dropping exercises from your library, and you can assign client workouts daily or even months in advance. It’s the ultimate convenience, and it involves no travel-time. Different views provide individual client details, an all-client overview and a timeline. 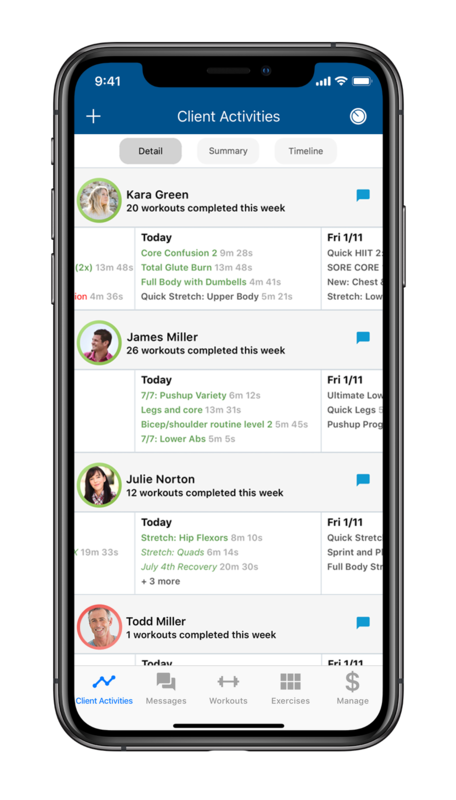 It’s everything you need to quickly and efficiently monitor all client activity, including the most recent completed / missed workouts, future workouts and workout streaks. Our trainer timeline makes it simple to manage your TWM training business in a dynamic, social style. Use your timeline to browse client activity and access tips and updates from Team TWM. Clients want accountability, and TWM enables that with in-app messaging. You’ll have multiple quick, easy ways to send motivational messages and reminders so clients stay on track. You’ll be notified when a client finishes a workout so you can congratulate a job well done. This helps you stay connected, develop relationships, retain clients and maintain client communication in one convenient place (and outside of your personal text messages!). Have full control over subscription plans you offer on TWM. 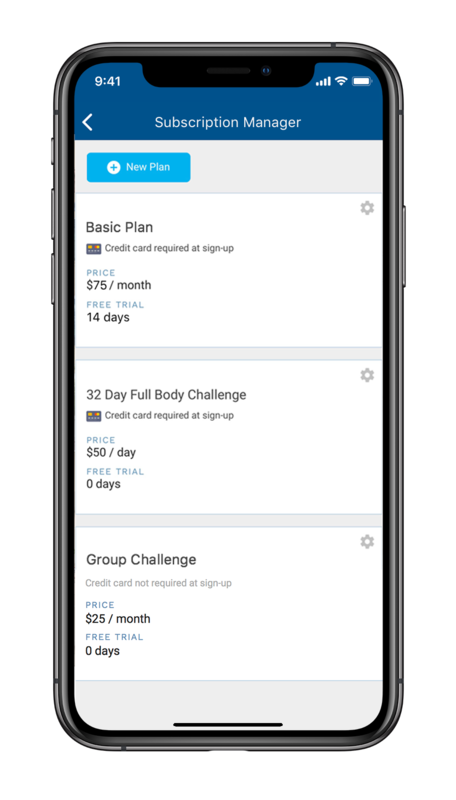 Set your own plan pricing, billing frequency, free trials and more. Upgrade or modify client plans with the click of a button. Our payment system, powered by Stripe, enables you to securely accept secure payments. Design and build training programs then customize for individual clients with just a few clicks. A program can be assigned to one client or a group of clients. Assigning workout programs is a simple “click and go” process. It’s like your own personal training time machine. You’ll love the efficiency! Never again worry about clients' improper form with app training! 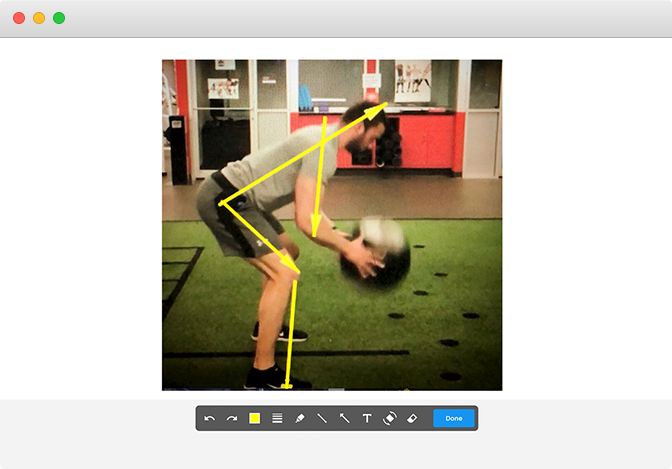 Our innovative Movement Illustrator tool enables you to assign extremely personalized exercises based a client's individual muscular strength/balance and to clearly define proper form. Continued use of the Movement Illustrator demonstrates a client's progress on day one versus today, offering visibly validation of your hands-on guidance. Clients can come together for friends and family fitness challenges. 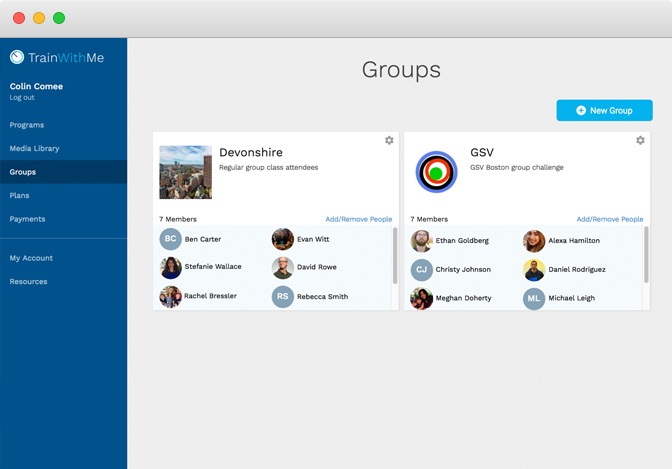 You provide team workouts, and group members are motivated by leaderboard rankings and friendly challenges. Group training also enables you to host corporate and other group challenges, which are a fun way to introduce new clients to your TWM business and bring in new, long-term clients. Track client payments received, refunds, and all financial transactions. It’s easy to get set up to receive direct, secure payments. Did you know that our Advanced Biomarker + Fitness Lab enables you to use client blood test results to offer the most highly personalized online training program available? Trust us, you’re going to want to know more about this TrainWithMe + Brio Systems partnership! "The flexibility to use TrainWithMe's innovative and exclusive Programs tool to pre-plan is a game changer. By programming my clients' workouts in advance and dedicating just a few minutes each day to client communication, I can take time off for other work opportunities, marketing, family time, and vacations while maintaining meaningful connections with each and every client. Programs also enables me to offer effortless free trials that help build my TWM business. Being able to give trials without sacrificing an hour of pay is freeing! I've had the privilege of bringing several trainers into the TWM family and it's truly inspiring to be a part of helping build other trainers' careers. It feels incredible knowing that I'm ahead of the game as online fitness boom takes off!" "I've been a trainer for ten years now and I've done everything from writing homework to coming up with Excel spreadsheets to show clients exercises, reps and sets. Using TrainWithMe has been the easiest thing by far when it comes to workout creation and customization. 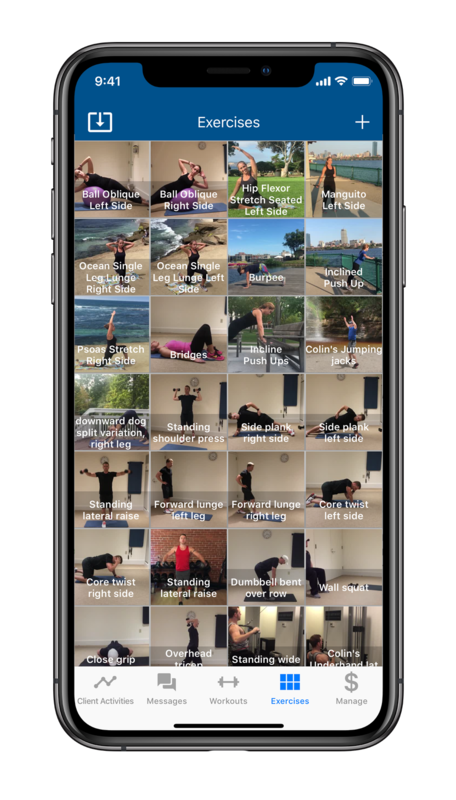 A couple of my clients who moved to Scotland loved the fact that I could still be their trainer through the app – that is a great benefit of TrainWithMe, allowing me to train clients all over the world!" "I moved to Boston from Brazil a while ago. Even though I'm an experienced trainer, being in a new city and not knowing many people made it very difficult to find clients. Fortunately I found TrainWithMe – and now I feel like I'm on my way to building a successful business doing what I love!"